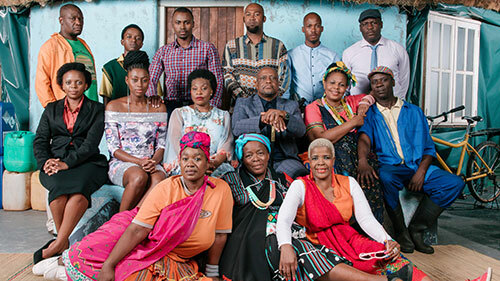 Giyani: Land of Blood Teasers April 2019 – Upcoming SABC2 drama series ‘Giyani: Land of Blood’ teasers, previews, updates, episodes, highlights and spoilers for April 2019. The whole community of Risinga gets ready to receive their land back. The Baloyi family struggles with the new arrival into Giyani. Richard Mudau and his family abandon city life to start over in Giyani, but Musa intends to fight them in court. Richard is forced to take drastic action to cover his tracks. Richard and Vukosi have a hard time hiding Cawuke’s body with all the festivities around them. Musa and Tiyiselani follow a lead that might save their case against Richard. Esther searches for her husband, worried. Musa and Tiyiselani arrive at the Baobab tree to meet the whistle-blower. Khensani has a disastrous first day at work. Musa and Tiyiselo uncover new information about the mystery caller. Mike steals money from Tsakani’s bag. Sparks fly when Musa and Khensani meet. Mike promises his wife that he will never drink again. Richard and Vukosi discuss how they are going to rob people. Richard doesn’t want Vukosi looking at his daughter. Gladys tells Richard of her dreams of helping the community. Someone is encroaching on Mhani Dayina’s territory. The battle lines between the Baloyi’s and the Mudaus reignite. Musa tells Tiyiselani about the mysterious girl he met. Gladys, Richard, Mike and Mhani Tsakani have a stand off in front of the courthouse. Musa and Khensani get into a heated argument about their fathers. Johnny is in trouble with Mhani Dayina after Khensaini’s visit to the tavern. Mike tells Musa what happened between him and Richard in Mozambique. Musa finds out Mike didn’t tell him the real truth and is livid. Kokwani sees right through Khensani. Hlengani tries to take credit for Richard’s good deed. Tiyiselani is enraged to learn about what happened between Musa and Khensani. Musa goes to the dark side, believing what Khensani tells him about Richard. Hlengani tells Mike about Musa and Khensani. Mhani Dayina is happy to see Mike drinking again. The Detectives tells Musa and Tiyiselani that Cawuke was murdered. Mhani Tsakani invites the Tabane over for supper, laying the ground for a showdown between Mike and Richard. Kokwani urges Richard and Gladys to call a truce with the Baloyis. Mike celebrates Richard’s arrest. Khensani confronts Musa for lying to her and Esther gets shocking information about her husband’s murder. Richard and Gladys sets their revenge plot against the Baloyi’s into motion. Esther is on the verge of proving her innocence but will she succeed? Musa comforts Mhani Tsakani in her despair over Mike’s drinking. Musa struggles to find the right person to take custody of Cawuke’s recording. Mike accidentally reveals a big secret in front of one of Vukosi’s spies. The MEC enjoys dinner with at the Chavalala house. Hlengani arrives drunk. Giyani: Land of Blood airs on SABC2 from Mondays to Wednesday at 21h30.